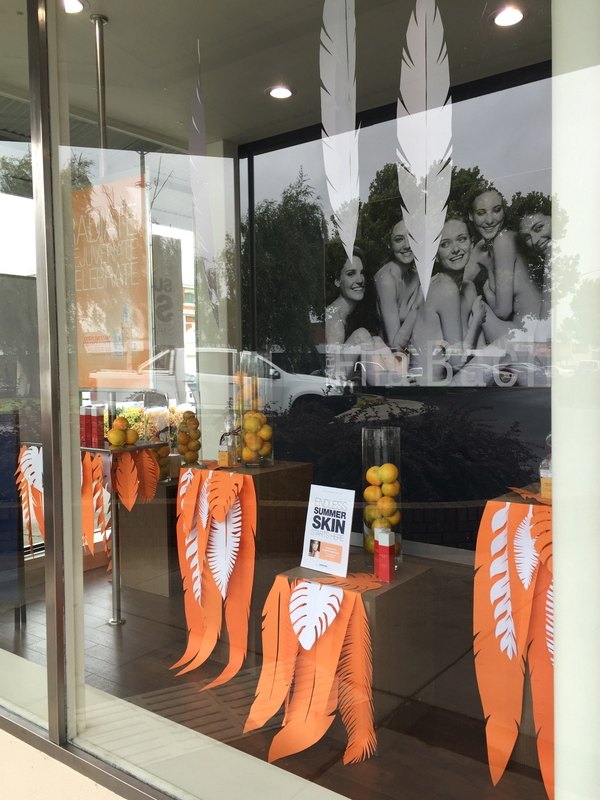 For a couple of years now, we've been gracing the windows of Bairnsdale's Ella Bache store. We've had a ball designing concepts each month to reflect their monthly campaigns, new product launches and seasonal holidays. A citrus vibe with a focus on Vitamin C as a key ingredient in their Radiance range. 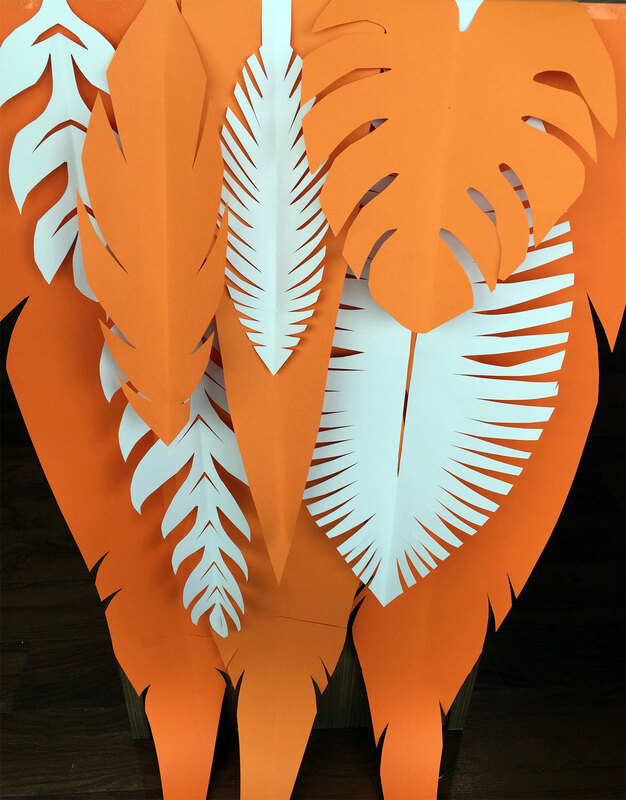 With hits of tropical leaves to give off a summery-vibe in the warmer months of this feature. A pop of colour never goes a stray when it comes to catching the eyes of passers-by. In the winter month, it's so important to keep your skin hydrated. 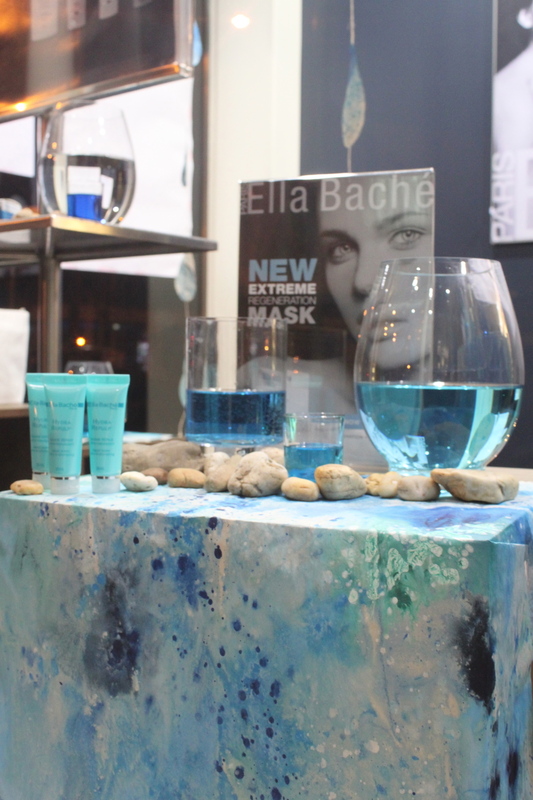 Often the winter breeze can easily dry-out our sensitive skin, and so teaming up with Ella Bache's Hydra range is the best fit. 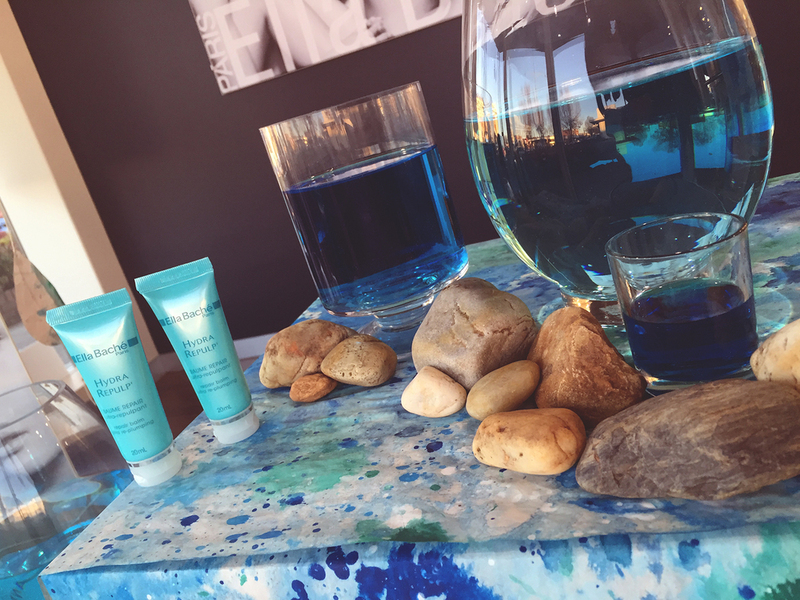 With a colourful display of hand-painted paper to wrap the risers, vases of blue dyed water and river stones, we created a little oasis in the midst of winter. 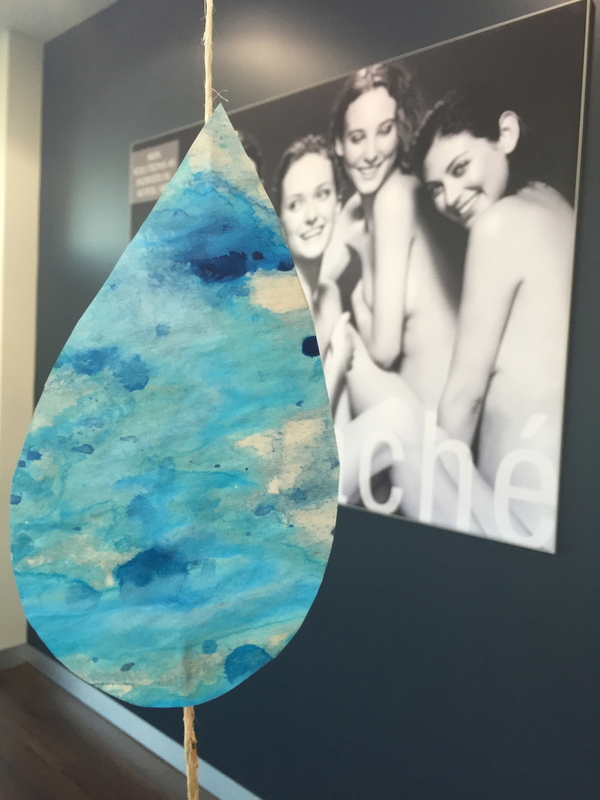 Creatively reminding you to take care of your skin regime. 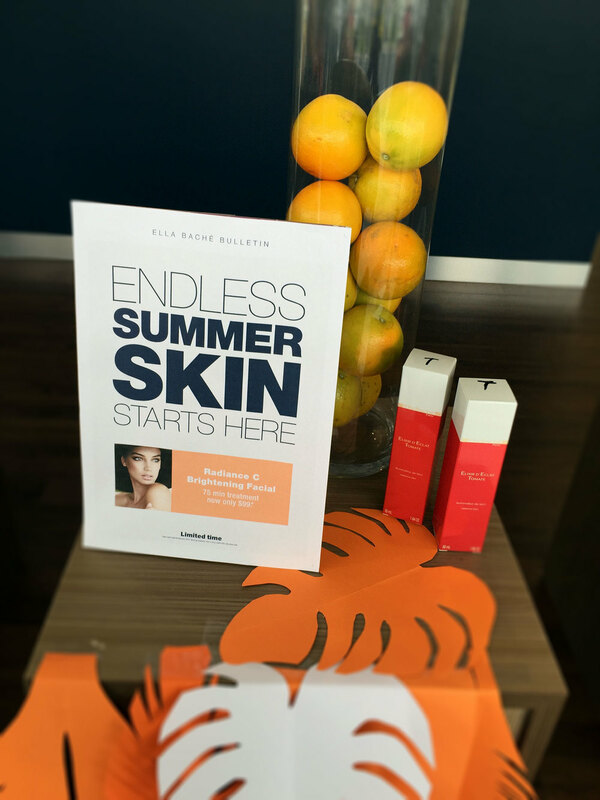 And to celebrate Ella Bache's brand new look for their Tanning range, we created a display of colour and stripes. We loved playing on the vibrant colours of the new packaging in time for Xmas with risers wrapped like giant presents and fun ribbons suspended in angles to lead your eye towards this summer-must-have! As we say goodbye to Summer and welcome the cooler months in time to spoil our Mums, we designed a seasonal display in pinks, silver and burgundys to help celebrate mum for Mother's Day. A simple, colourful display to attract your attention to the gift-card signage and special offers the store has running to spoil all mums.